We’re counting down Massively OP’s weirdest MMORPG stories of 2016! … that time when Richard Garriott sold his blood for Shroud of the Avatar, as we wrote in a pair of articles over the summer. The real story is a little bit more complicated, of course. 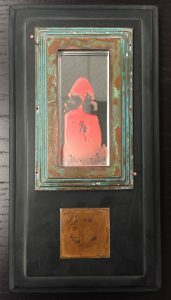 Shroud of the Avatar’s Richard “Lord British” Garriott and Starr “Darkstarr” Long donated their blood to be used in 10 pieces of “blood reliquary” artwork created by Steve Brudniak; the artwork was then put on Ebay for an initial bid of $5000, though they were moved to the game’s website following what was likely an issue with Ebay’s rules. The price has increased as each one sells, and they do indeed sell; as I write this, in December, only one Lord British reliquary remains for sale (at $13,000), while two Darkstarr pieces remain (at $12,000 and $13,000). Proceeds from the sales benefit both the game and a designated medical charity, which is actually pretty cool. The blood thing wasn’t the first such story for SOTA, nor was it to be the last. In fact, Richard Garriott gave away part of his rat tail in January as part of a promotion and donated an in-game replica of his skull to a player tavern in November. Hey, it made headlines — and it helps keep the game online. Thanks for playing along with our weirdest stories countdown, and don’t forget to check out our annual MMORPG awards and our blooper awards!